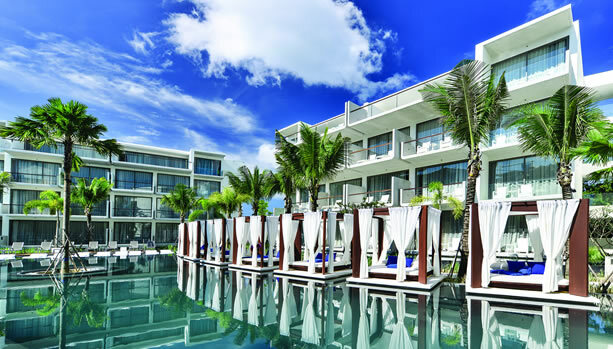 Babymoon Phuket. Celebrate your Pregnancy with a well-deserved Phuket Babymoon. Celebrate your pregnancy and spend your babymoon at Dream Phuket Hotel & Spa, located in a sun-kissed spot making it perfect for babymooners. 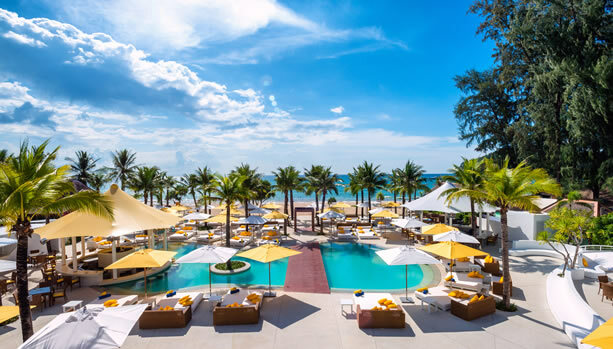 Surrounded by lush hills, tropical plantations and the Andaman Sea, Dream Phuket Hotel & Spa is a show-stopper and only two minutes from the exclusive beach club, Dream Beach. 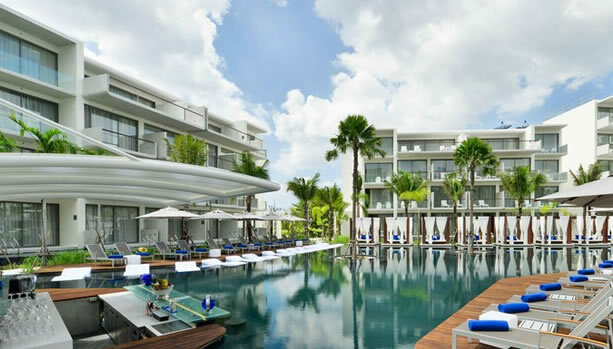 Dream Phuket Hotel & spa features 172 guest rooms, suites and villas. The contemporary furniture is eye-catching. The art channels an exotic vibe. The high-speed Internet is complimentary everywhere. The rain showers and free-standing bathtubs can accommodate up to two people with views of the main pool, gardens and mountains. What’s an exotic beach babymoon without a little pampering? The Pre-Natal Massage for future mommy (60 minutes) is included in the babymoon package of Dream Phuket Hotel & Spa. Sanctuary is a haven of five treatment suites where you can choose from a pampering menu of holistic therapies based on the Five Element Therapy of Earth, Wind, Water, Wood and Metal. From massages, scrubs, facials, wraps and waxes to nail and foot care, a few hours at Sanctuary will leave you aglow with renewed inner peace. 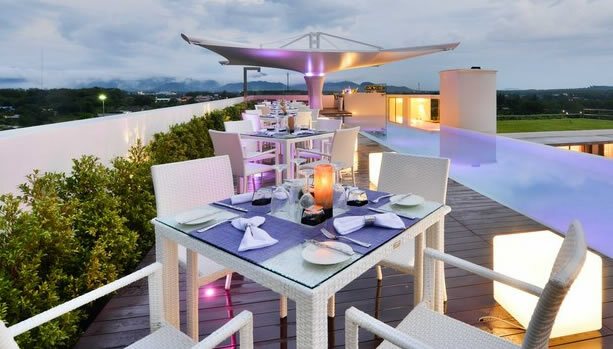 Trilogy – the ideal place to enjoy the most exciting dining in Phuket. With your choice of indoor or outdoor terrace dining, it features a show kitchen which resembles a live cooking theatre where chefs showcase their skills in three world-famous cuisines: Modern Thai, Tuscan or Contemporary European Cuisine. Breakfast is a gourmet wonderland of fresh croissants, congee, juices, pastries and much more. Indulge – Indulge is a fine wine bar with a supporting cast of smooth vintage whiskeys, brandies and cigars. Here, televised sports and leather chairs are signature features. VU – VU is the perfect spot for catching sea breezes while sipping your way through a unique and tantalizing cocktail menu (or mocktails for mom-to-be) incorporating Thai flavours like lemongrass, tamarind and chilli. Watch the sunset while listening to soothing vibes, and chillax on weekend afternoons. Pool Bar – With palm trees swaying to relaxing music along the cool water’s edge, the pool area includes sunbeds and private cabanas. The centre of this oasis, the Pool Bar, invites you to swim up and sit on an in-water bar stool and order a drink, succulent burger or tasty Thai spring rolls. 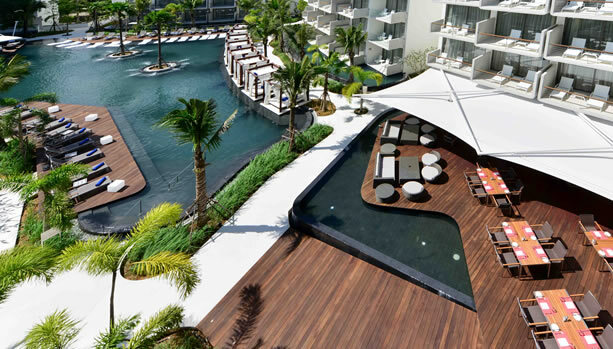 Dream Beach Club – The multi-story club features two pools, a restaurant for indoor and alfresco dining, and four bars. Dream Beach Club is also one of few beach clubs with direct access to the sea. Level One is Dream Beach Club’s rooftop bar and nightclub that promises electric parties at nightfall. 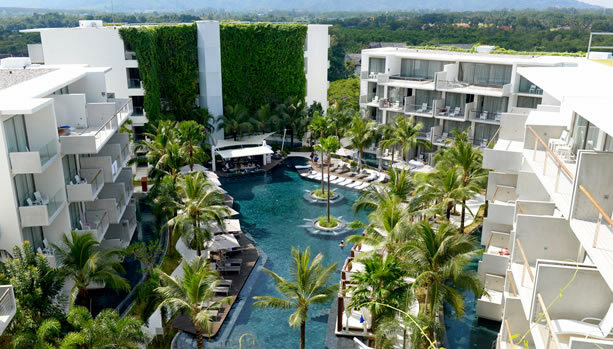 Dream Phuket Hotel & Spa is just a 20 minutes drive from Phuket International Airport (airport code = HKT). Ready for this unforgettable Dream Phuket Babymoon?